Are You America's Next Producer? Brought to you by our friends, the Magical Elves! • A reel and credit list (including yourself if you wrote or directed anything) or if you do not have a reel, send a copy of one project that best represents your work as a producer. Click here for the application and more info. Here's a video of Zulema's Fall 2007 Collection. The event took place on February 2 at Slate PLUS. 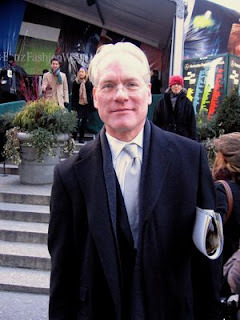 Here is an interview with Tim Gunn from "INPRINT." Following in the footsteps of Heidi Klum and Tyra Banks, Victoria Beckham is developing a fashion-based Reality Show. Bravo's Fashion Forward blog reports that Jeffrey Sebelia will be showing his Cosa Nostra Collection on March 28th. Details to follow. Here is an article about a Season Four hopeful. Hey Bravo, how about an announcement about audition dates? We're dyin' here! Here is more about Michael Knight's Starbucks Tour. Don't miss the slideshow and the video. These photos are from Malan Breton's Show. There are some great behind-the-scenes shots. Here is the schedule of Nick's appearances! Will he be in your town? Please let us know if you are available to serve as a BPR field reporter! I'm crazy busy getting ready for the DIVA fashion show this Saturday! I've got a whole new collection which is going to be "split" into 2 fashion shows coming up, DIVA this week and Voltage April 11th. Don't worry though... I've made the designs work as a whole collection and look good as two smaller shows (that was a tricky one to figure out!). I've also been invited by LVMH to show the entire collection out at Foxwoods CT on march 24th. I'll send you more info on that as I get it. Click here for ticket information on this Saturday's event. Anyone in the Minneapolis area available to send in a field report? E-mail the team at BPR. Good luck Katy! The Seattle Times has an interview with Michael Knight. Did anyone notice Rachael Ray at the Oscars last night? What was she wearing? Chloe Dao was the featured speaker at this event in Houston. Katy Gerdes is one of the featured designers here in Minneapolis. Also see post above. Click here for an article about the success of Reality Shows. Chloe Dao is featured in this TLC show called "The Greatest Fashion Icons in Film." Thanks Katie. Laura Bennett is mentioned in this article from The Washington Post. Thanks Tilly. Don't forget to watch Tim Gunn's Oscar fashion coverage on the Today Show. We'll have video of his appearance as it become available later this morning. Click Here For Something Fun! This is a video about crashing Project Runway. It was created by our friends Kyle and Stephanie for a Fox Show called "On The Lot." Enjoy! 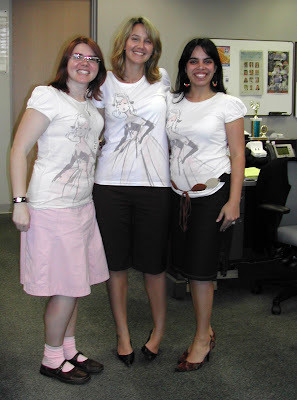 Don't you just love Evelyn, Kathleen and Felonice in their Robert Best Barbie shirts? Adorable! Thanks for the photo, girls! 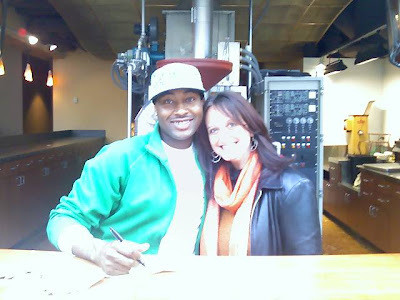 This link takes you to a video of Mychael Knight at a Starbucks in South Florida. He looks adorable and mentions hanging out with Uli! Here is a link to Jeffrey Sebelia's latest Cinematical blog entry. Did you miss 'Watch What Happens?' last night after Top Design? Well, click here to watch a video in which our dear friends, the fabulous Project: Rungay Boys phone in as the special mystery caller. Watch the reactions of Margaret Russell, editor of Elle Decor and Top Design and don't miss that they have their very own logo. Who Is The Mystery Guest?? Disappointing news from Andy Cohen today as he reports that 8-months pregnant Nina Garcia is unable to join him tonight on his weekly webcast, Watch What Happens. Nina was originally scheduled to appear with her Elle cohort, Top Design judge Margaret Russell. Meanwhile, join us tonight on Blogging Top Design for our coverage of Episode 4. The party room will be open! Last week we announced our BPR All-Stars. This week you get a chance to include your favorite designer from any of the three seasons as a BPR All-Star Wildcard. Click here to cast your vote. Please note that we have included only designers that received more than 1% of the votes from each season. (You can see the results of Season One here, Season Two here, and Season 3 here.) You can cast your vote each day for ONLY ONE DESIGNER. This will bring our All-Stars number to a Final 16. Hmmmm ... what will we do with our All-Stars??? This Robert Best design is now available at Target. Don't miss the Season Two mini-marathon today starting at noon. Thanks Cat. Tim Gunn discusses Oscar Fashions in the latest issue of TV Guide. Also, Tim is scheduled to appear on Rachael Ray tomorrow. Thanks Wendie. Attention Los Angeles - Suzette reports that a new Mood fabrics is opening soon in the mini-mall at the corner of La Cienega and Pico Blvd. Here is a very unflattering look at Project Runway from US magazine. Of course in the interest of being the "Complete" source of Runway news I have to include it....sigh. Question for producers: Is this show about finding the next Great American Fashion Designer or is it about finding the next Great Reality TV Star? Either answer is fine - but I just really want to know. Are we looking for designers with "Character" or just "Characters." Tim Gunn and Michael Kors are both quoted in this article from the South Florida Sun-Sentinel about Oscar Fashions. Thanks Cat. What? Not "Top Producer" or "Project Producer?" No today's announcement is for a new reality series called "America's Next Producer." So if you have been watching reality shows and felt like "I could do better than this" now is your chance. The deadlines are right around the corner so please get started on your application right away. Good luck to the "America's Next Producer!" Emily reminds us to watch "The Hills" tonight at 10:00 on MTV. Nick Verreos makes an appearance! Megan reports that the last episode of Ugly Betty (which you can watch on ABC.com) has the results of a Project Runway-ish contest to create a dress from office supplies. You can see the winner (which is quite ummm...lovely) in the episode and the other entries on the website here. 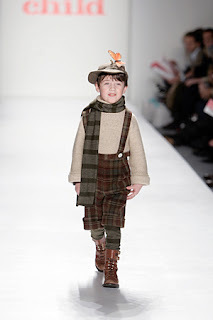 Laura Bennett is mentioned in this article about the Child Magazine Fashion Week Show. 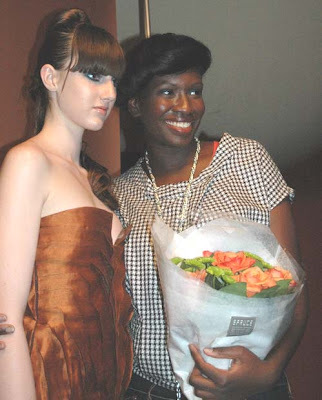 This article mentions that ANTM contestant Melrose modeled for Malan Breton. Angela Keslar was the co-host of this children's charity fashion show at Penn State. And the fall forecast predicts rosettes and Angela having the last laugh. Here is a report from the Richmond Times-Dispatch about Austin Scarlett's Bridal Fashions. Don't miss the slideshow. Here's a link to the shoot for Tresemme that Amanda Fields and I did back in December.. hope all is well!! Click here to learn more about today's Martha Stewart Show featuring Tim Gunn. You can click here to watch the promo video. How far into the segment will Martha say, "Make it work?" Edited to add: Here is a link to the latest note to BPR from Tim. Click here for Malan Breton's report from the Bailey House Event, here for Erin's account, and click here for Glory's report from Project Dahl. Thanks everyone! Click here for a very interesting New York Magazine article about Jeffrey Sebelia. Thanks Lauren. The moment we exited the subway in Soho, we could tell that it would be an auspicious night for the Blogging Project Runway correspondents. At the top of the subway stairs, a guy handed us postcards advertising a sale and Spring Preview at EMC2, Emmett McCarthy’s store. Pocketing the cards for later, we braved the ice and walked to the Jonathan Shorr Gallery, where Alison was displaying her new collection of dresses, tops, and jewelry in a show called “Project Dahl.” Everything shown will be available for purchase on Shopbop in late February. The Bailey House event was wonderful and it broke all previous fund-raising records. There was a lot of media there, including Entertainment Tonight, so I don't know why there's such a dearth of coverage. And the crowd was huge in spite of frigid temperatures and icy conditions from the previous day's snowstorm. A good time was had by all! I am loath to tell you that I was the cheap date of the live auction. I went for $3,250, Jonathan Adler and Simon Doonan garnered $3,500 together, Barbara Walters went for about $7,000 (my memory fades here), and Anderson Cooper went for...$22,000!!!!! What can one say, except that he's worth every penny! Also, Bravo was a big supporter of the event, and the executives turned up en masse. My new Liz Claiborne pals turned up, too, which was very touching. By the way, I'm on Martha on Monday. We taped it this past week. I brought three recent graduates with me and we have a mini fashion show. Martha is more generous of spirit, thoughtful, warm, and welcoming than I can adequately describe. She is divine and sublime. And she looks even more fabulous in person than she does on camera. Also by the way, I'm covering red carpet fashion for The Today Show, again, this time for the Oscars. I will do all that I can to make certain that I'm not asked any questions about stars whose clothes I haven't seen. I was mortified when Matt Lauer asked me about Angelina Jolie's Golden Globes dress and I hadn't seen her. How could I respond except with the truth? Accordingly, I was surprised -- delighted, but surprised -- when The Today Show called, again. 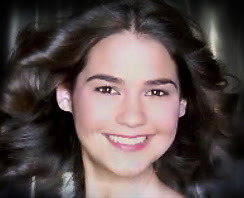 I received a SAG application as a result of the Ugly Betty appearances. I'm tardy submitting it, but I will! No word yet on dates for the season four auditions. I trust that Blogging Project Runway will know before I do! Mychael Knight was my choice for fan favorite of Season 3. So when the opportunity to meet him in person at my old job (Starbucks Headquarters) presented itself – I knew I’d be asking my new boss for a long lunch in order to “Make it Happen”! A few hundred employees (ex-employees), friends and family members chatted and waited in the 9th floor commons until Mychael was introduced to the stage. Everyone was clapping and hollering for him as he shyly smiled that great brace-filled sweet smile I came to appreciate on Season 3. Wearing a baseball cap, Starbucks T-shirt, bright green sweater jacket and jeans, he described his new collaboration with Starbucks in custom designing T-shirts that customers can choose depending on their favorite drink. They showed a short video that explained the idea, showed footage of Mychael on PR and meeting with the creative team at Sbux. He said that his favorite drink is a Grande Caramel Macchiato. After the video he said that he also really likes the Tazo Passion tea: “So yummy” – again with a grin from ear to ear. Your BPR team is searching for news articles about the Bailey House Auction. So far, we have this wonderful photo gallery from avisualsociety. Gotta love the bloggers! In other news we have heard that Uli was featured on the "Style Star" program on Style network last night. It is episode #701 - the "Miami" episode. Click here for the schedule. Thanks Karen. Also, the Martha Stewart Newsletter mentions that Tim Gunn will be a future guest on her show. Thanks Kathy. Angela Keslar is scheduled to appear as the hostess at a children's charity fashion show at Penn State this weekend. Austin Scarlett will be at the "Artful Wedding" event in Richmond on Sunday. Mychael Knight, finalist from the hit Bravo show Project Runway, will appear at the Olive Way Starbucks in Seattle, at 2 p.m., Thursday, Feb. 15. The designer will autograph and showcase his latest project, "My Starbucks" t-shirts by Mychael Knight. Starbucks has collaborated with Mychael Knight on this limited run of customizable one-of-a-kind t-shirts. Each t-shirt will be modified with his design to display specific Starbucks® beverages allowing individual consumers to wear their favorite drink on their shirt. "My Starbucks" t-shirts, by Mychael Knight, encourage individuality and personalization in beverage choices, fashion and life. Designed to showcase how easy and fun it is to customize a Starbucks® beverage, the t-shirts will be available on www.Starbucks.com beginning Feb. 15. Here is an interview with Michael in the Seattle Post-Intelligencer. Celebrate with Emmett McCarthy at EMc2! This is a huge sale - up to 75% off! Sorry to be out of the loop these past weeks, the death of my brother Lawrence took me off my tracks. 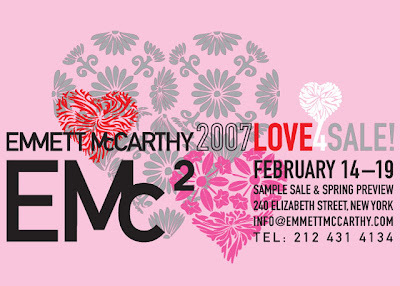 We are coming up on a year anniversary at the Emmett McCarthy EMc2 Boutique. So much has happened in the last couple of months that I have been busy working trying to meet the demands of the business. We have two new members of the EMc2 team, Erin McDonnell [Ha. Another EMc!] in design and Melissa Vega in sales. Our new design studio on West 38th Street (just a few doors West of Mood Fabrics) Is where we now work. Erin and I went to Milan to negotiate with Italian shoe manufacturers who will be creating our shoes available in our boutique in August for fall. We are busy working on both the shoe collection and the upcoming handbag collection. At the same time we are working on filling the boutique with Spring and trying to jump ahead and get our fall collections designed on schedule with the industry. We are presently busy with our Love 4 Sale! Sample sale and with the mentions in Daily Candy, TimeOut NY and the post we have a lot of traffic despite the snow and cold. Thanks for your continuing support, and know when you don't hear from me it is because I am busy with work! Tomorrow night is the big Bailey House event. 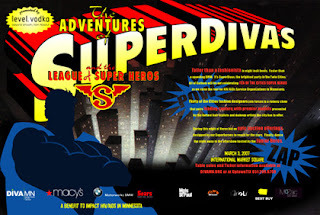 This includes auctions for some great items including lunch and a wardrobe consultation with Tim Gunn. Another item is lunch with Anderson Cooper. Maybe Tim could bid on that... Thanks Cat. EDITED TO ADD: Here is the INSTINCT interview where Tim admits that Anderson Cooper would be his choice as "leading man..."
Also from Cat: There is a Season One Marathon on Bravo today! For those of you who are snowed in...what could be better? 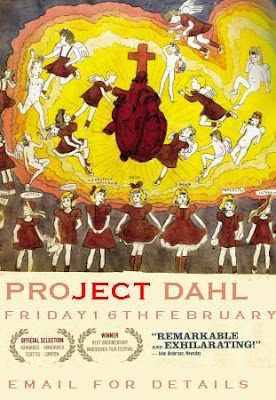 Alison Kelly is showing her collection, "Project Dahl" on Friday Feb 16th from 6:00 - 10:00 at the Jonathan Shorr Gallery 109 Crosby Street NY 10012 Between Prince and Houston in Soho. Could we get a field reporter? Attention Aspiring Designers: Bacardi Limon is sponsoring a fashion design contest. Visit FWD for details. (You have to be at least 25 years old.) Good luck and please let us know if you are one of the five finalists. Here is Jeffrey Sebelia's latest "Cinematical" blog entry. Also, several BPRs reported seeing Jeffrey on E! Fashion Police talking about Grammy fashions. I wonder if any Project Runway designers will have fashions at the Oscars? Well, it's been a while, and I have just filmed another episode of How Do I Look?, so I promise to write not one but two BTS passages about the experience for you guys. But, bigger news than that is that I am producing a dance piece with Jamie, and it is performing this weekend. He did the choreography and I did the costumes. It should be a lot of fun, complete with a piece where we dance a small duet. Those that can make it will get to find out who is "the sh*t". Literally. [Ed. note: no actual pooping is involved...] I've pasted the press release below, so BPR has all the info. Project Runway designer and chroreographer collaborate on dance presentation about public restroom life, on Friday and Saturday, February 16 and 17. I just wanted to say thank you for your support and coverage of my showing at Mercedes Benz fashion week. This season the collection paid homage to structure, architecture and a young Elizabeth Taylor. It was also an ode to the many new and wonderful friends I have made since my departure from the show. Sadly, the looks list that was printed for the event was not the final copy so many of the details were not featured like the quality wools and silks etc. There were so many detailed sleeves and trousers this season, I am sorry that the lists were not accurate. Click here for an accurate list of all of Malan's looks and models as well as the rest of his note to BPR. We have a suggestion from a reader to run a "Wild Card" poll from the remaining designers. Great idea Megan! Look for the Wild Card Poll next week. I wrote to the President of Bravo, Lauren Zalaznick, to let her know how much we have enjoyed blogging about Project Runway. Here is her response! BPR's own Laura L traveled from Washington DC to Malan's Show on Friday. She and her friends met up with Trish and enjoyed the show very much. Here is a link to Laura's slideshow. These are excellent photos with descriptive captions that really describe the scene. Here is a link to her short video clip of the finale. Click here for Laura's full report. Click here for Adam Turner's not-quite-as-glowing, but still very relevant report. If everyone agreed with one another, BPR would be very dull! Thank you Trish, Laura and Adam for representing BPR at Malan's Show. Thank you Malan for including us. It's a privilege to be able to follow the career of this very talented and generous designer. This great photo of Tim in front of the tent is from The New York City Daily Photo Blog. I love it. Did anyone watch Jay Leno last night? Cat reports that the guest was Drew Barrymore and she admits to being a huge Project Runway fan. She has even taken up sewing! Here is the Gawker report on Malan's show. Chloe Dao was the judge at a student version of Project Runway in Houston. Laura Bennett sent a design down the runway for the Child Magazine show and it was modeled by her very own son, Pierson Shelton. Click here for New York Magazine's coverage of the show. Click here to see all of the Getty Images of the event including all of the celebrity parents on hand to watch their children model. And don't forget to visit Project: Rungay to see their fabulously glamourous coverage of the event. We reported that Malan Breton showed his collection yesterday at Mercedes-Benz Fashion Week. I created a brief slideshow of eighteen of the looks he created. You can see another slideshow with a more complete offering of his looks on Malan's MySpace site. Who do you think designed this dress? Mouseover for the answer... Thanks Karen and Ted. Check out this podcast from Grey's Anatomy. The Executive Producers are big Project Runway fans! This is great. Thanks BrendaGC. Bravo's Fashion Forward features Malan's Show AND gives a shoutout to BPR! Us Magazine features an interview with Jeffrey Sebelia. TV Squad offers more discussion about Jay McCarroll's recent remarks...Thanks Katie. Malan Breton showed his 2007 Fall/Winter collection this morning at the prestigious Mercedes Benz Fashion Week. Click here to see the first images we have of the collection. Check back with us for more coverage of the event! Edited to add: Click here for a report from BPR's own Trish! Jeffrey Sebelia gives an interview in New York Magazine, tries to pick a fight with Tim and gives his former mentor fashion advice! Dont miss their caption on his photo. Michael Knight designed this t-shirt for Starbucks. Different celebrities have signed the shirts and many are now available for auction at Clothes off Our Back. A One of A Kind custom t-shirt designed by Mychael specifically for the winner. Please let us know if any of you win any of these items! Thanks Heather. Update: According to this story, Michael will be in Austin next month. Stay tuned to BPR for all of the latest! Did you catch 'Watch What Happens' last night after Top Design? You can catch the entire series of videos. Don't miss Part 6 in which our very own Laura K and this very blog receives recognition! It's going to be a tough decision tonight if you don't own a TiVo. 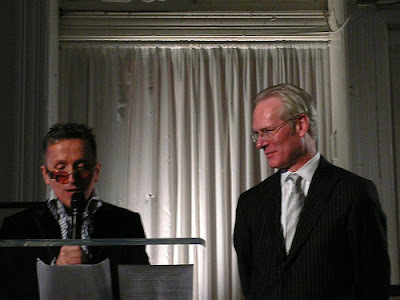 Tim Gunn will reprise his role as a fashion correspondent covering Fashion Week on the hit show Ugly Betty on ABC (8/7 Central). If you missed him on last week's episode, here's the link to the video. 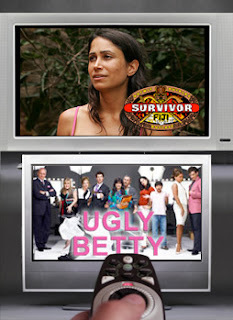 Airing opposite Ugly Betty on CBS, it's the premier of Survivor: Fiji. Uncle Nick's lovely sister, Rita, will be among the 19 contestants starving for the million dollar prize and the title of Sole Survivor. That's one crown this beauty queen wouldn't mind wearing. Good luck, Rita. The Pensacola News Journal announces Project Prom. Looks like fun! Here is an article about Catherine Malandrino's Fashion Week Show. Thanks Wendie. Another mention of Tim Gunn in People. It's a big day! First of all, Tim Gunn is on Regis and Kelly this morning. Next, the Rungay boys are taking on Season Two! Be sure to watch Episode One today because the boys begin tomorrow! I'm dying to read what they have to say about Santino, Nick, Daniel V and all of our Season Two favorites. Also, please join us at Blogging Top Design tonight at 10:00 for our BTD Party Post. Finally there is a Season Three marathon on Bravo today! Bliss! Helping close out Fashion Week on Feb. 9 will be Child Magazine show, where designers including Tory Burch, Catherine Malandrino, Cynthia Rowley and Shoshanna will play in the sandbox together. Laura Bennett of "Project Runway" is creating clothes for her son's runway debut, cheered by Tim Gunn on the sidelines. Please let us know if you attend this show! 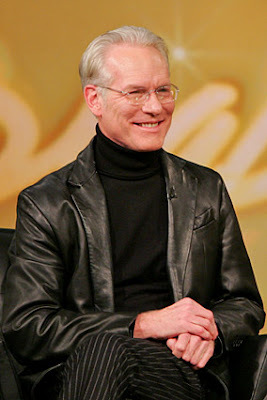 Is Tim Gunn on Regis and Kelly today? Amy M reports seeing a promo, but I can't confirm - any east coasters watching? Confirmed! - thanks everyone! Tim is also featured here in a fashion week story on NPR. Thanks Anne. Fred Flare has an interview with Alison Kelly. Thanks Simran. 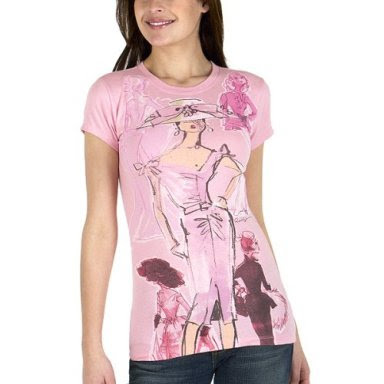 Here at Style.com you can find designer sketches and the inspiration behind them. Under "Art" you'll find Zulema and under "Faces" you'll find Malan. Remember Malan's show is Friday! Who can spot the Season Three model in this Grey Ant show? Thanks Bean! Variety is featuring the Tim Gunn story. Tim is news in Business, Entertainment, Fashion and Academia! Who else can make this claim? Thanks Cat. We are getting so much fashion news lately that I might have missed this WWD report about Chloe and QVC. Congratulations Chloe! I figure I had better post a link to this ew.com article before I get any more e-mails. Thanks everyone who sent the link! Marilinda modeled for Rock and Republic's Fall 2007 Collection; you can watch her New York Magazine video above. Have any of the BPR'ers found other Project Runway models at Fashion Week? Send us the photos or links! How does Chloe do it all? The Wall Street Journal reports that she has signed five new deals. Even MSNBC (parent company of Bravo) can't tell us when Project Runway will return. Here is another article about Canada getting it's own version of PR. DallasNews.com reports spotting Laura Bennett at the Carolina Herrera Show. Hi Laura! Tim Gunn on Oprah Today! Don't forget to watch Oprah today for an appearance by Tim Gunn. Here is a link to the website with a little preview. I am so excited! TVweek.com mentions the Bailey House event, Tim Gunn AND the new Top Design show. The Gothamist sums things up this way: Fashion expert, mentor, blogger, actor, chief creative officer, frequent user of SAT words...what can't Tim Gunn do? In a completely different vein...here is an interview with Jay McCarroll in NYMag.com. Here is a little bit more about the latest from Jeffrey Sebelia. 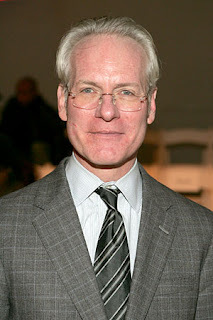 The Gawker spotted Tim Gunn at the Tracy Reese show. 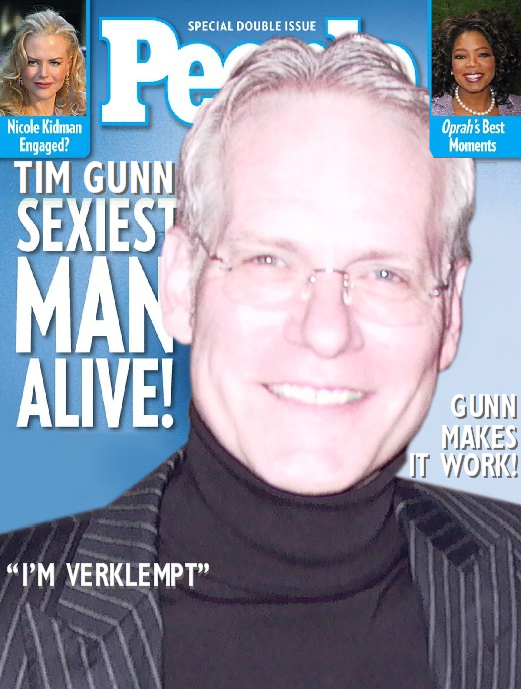 Reality Blurred offers a quick recap of all the latest Tim Gunn news. The title is "Tim Gunn confirms return." We certainly hope so. Here is a great article about Austin Scarlett. 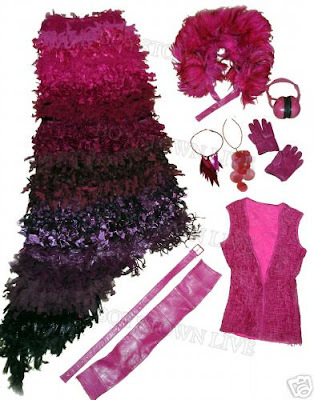 Jeffrey Sebelia's latest cinematical blog entry is all about fashion trends at the SAG Awards. Zulema’s Fall 2007 Fashion Week show was held at Slate PLUS, a funky restaurant/bar/lounge/upscale pool hall. About 80 people were there, including representatives from Neiman Marcus, Woman’s Wear Daily, Harpers Bazaar Russia and, of course, Blogging Project Runway. None of the other Project Runway contestants were at the show, but several, including Diana Eng, were expected at the late evening after-party. The final dress worn by Julia in Jay's winning finale collection is now up for auction on eBay. Thanks Adam. The Advocate weighs in on Tim's new job at Liz Claiborne. 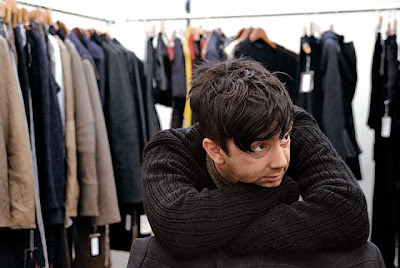 Click here for Tim's New York Magazine interview; he says that one of his personal stipulations regarding his new position with Liz Claiborne was that he wanted to still do Project Runway. Yay, Tim! Thanks, Justin. In this interview with Star Magazine, Tim says that it is unlikely to see Liz Claiborne fashions on Runway. Thanks, Deb. In other news, it seems Runway stays at Parsons! Thanks, Wendie. You can hear him on NPR's Marketplace feature about too-thin models at Fashion Week. Thanks Nikki and Patricia. 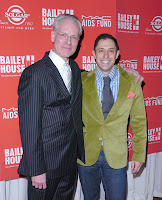 Fashion Week has begun and Alison Kelly, Tim Gunn and Jay McCarroll are at the events. You can click on each picture to see a larger view. ...From Liz Claiborne. Now I'm off to purchase some stock..... Congratulations again Tim! 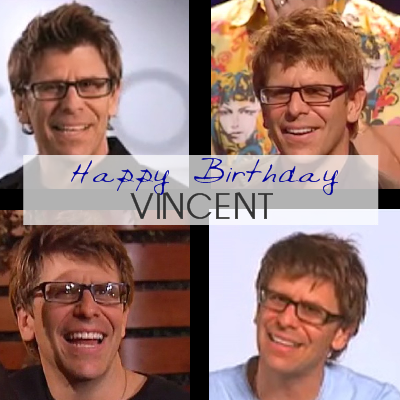 Edited to add: Don't forget to watch Tim on Ugly Betty tonight on ABC!